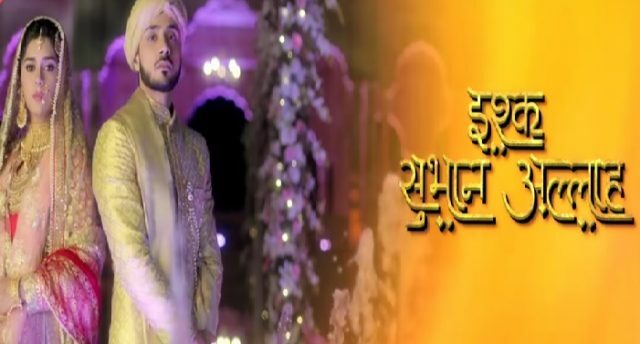 The current episode starts with Miraj tells Nilofar to kill Imran to seek revenge from Zara and Kabir for his failure to become a sharia board member. Miraj comes and asks Kabir to come with him as he has to talk, Zara is worried. Miraj tells Kabir you are good for nothing, you should go and listen to orders from his wife’s and her family. Kabir tells Miraj that he is crossing his limits of being a friend, Miraj says to hell with you and says that I will withdraw my partnership from your project and I want all the money back that I have invested in the project. Reema is looking for jobs. Zara Comes to her. Zara tell Reema I don’t know what happened but something happened. Reema says what must have happens? Zara asks where is Imran? Reema says he is going to Meerut to meet Nilofar’s parents. Zara says but they are not SD siblings. Reema says but Imran went to Meerut before too. When Kabir sent him and he meets Miraj’s family there, Zara says there is something fishy in all this. Zara and Kabir get closer. Kabir returns home seems tensed while Zara tries to talk to him but of no use, Kabir is working out to show his anger and Zara taunts him. Zara was about to leaves when she collides with Kabir and both come closer and Zara stops and says that will he break their talaq today or they have to wait for 20 days for his no to talaq. Kabir leaves from there and Zara feels bad for Kabir and makes a plan to save Kabir from Miraj. Kabir says to Shahbaz says can I ask why? 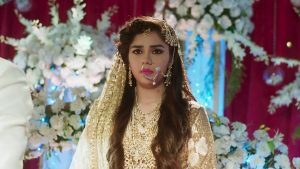 Kabir says I want to give Miraj his money back and divorce is coming near, my head is aching Shahbaz says I will give you 1 crore rupees but I have some conditions, first is that you will make Zara Miraj part of Sharia board, second is you will make Miraj part of sharia board, third is you won’t divorce, Zara,. kabir is surprised to hear it.